Family Office Insights sits down with April Newland to discuss private properties in the Caribbean, including private islands, golf courses, a marina, and beachfront development properties, exclusively offered by her firm. Tell us about your background and your company, Newland Real Estate. 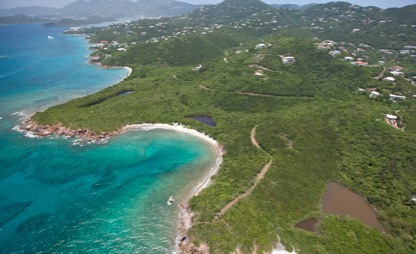 As a second-generation Newland Real Estate Broker, I grew up in beautiful St. Thomas and had an early exposure to the skills and knowledge of the US Virgin Islands luxury real estate market. I crafted my expertise by the age of 18, making me the youngest real estate agent in the area. My last 40 years in the field have garnered the respect and credibility for knowing the ins and outs of this industry and niche market. There are a very limited number of brokers who sell high-end properties in the Caribbean in the $20M plus range, so I pride myself on being the exclusive broker for private islands sold under the US flag and high end commercial and residential properties. Newland Real Estate was founded in 1957 after my parents moved from Long Beach Michigan City, Indiana to St. Thomas. It was then that they founded the St. Thomas-St. John Board of Realtors and the Territorial Association of Realtors. Newland Real Estate has been family-owned since then and my mission is to keep it a successful Newland family business for generations to come. My properties are all very exclusive and high-end, geared towards those who are seeking extraordinary properties and plan to turn them into something outstanding. My buyers are, more often than not, well established, wealthy, and have the ability to invest in amazing business opportunities, or splurge on a second, or third home just because they can. 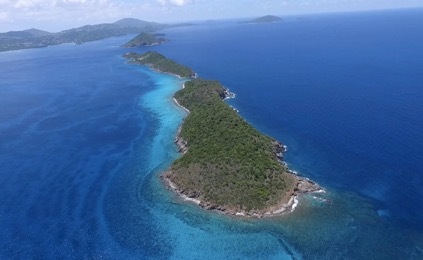 It really takes that special billionaire that has the funds to own his/her own island. 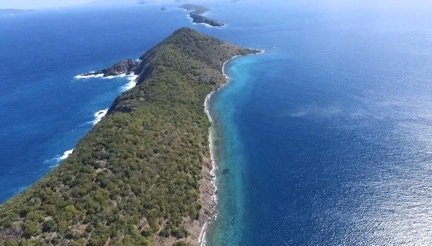 There are only 2 islands left in the US Virgin Islands for sale, so once they’re sold, they maybe gone for good as they rarely come back on market. There is also a sense of legacy building for some of my buyers. They are mainly interested in purchasing to keep the property in the family for many generations. This means that the turnover for these properties is very low, so once an exclusive island comes on the market, potential buyers have to be quick. There are many types of buyers for such large purchases: individuals, investors, and development companies. I prefer to sell to individual owners than to developers for the fluidity and seamlessness of transactions that come with it. I recently closed on two islands to individual buyers very quickly because we negated the long process that would otherwise come with developers, including: permit application; obtaining investor funds; and abiding by zoning laws. However, if that is the desire, I know exactly what has to be done, who to go to, and so if that is absolutely the direction my future buyer wants to go in, I become an essential part of that and make sure it is executed in the most efficient and expedited way possible. What are some challenges you face in the market? Getting the word out to clients can be a challenge because these private properties are not publicly marketed so many buyers may not be readily aware of my listings. Many of my sellers request that I not market through print advertisement because these are special locations that many of the high profile sellers would like to keep private and confidential, and I honor that discretion. Many of my buyers find me through referrals. I make sure no one knows the people I am working with and who is buying what property to respect the privacy of my buyers – AND sellers. This builds my credibility and the trust level clients have in my team. Many people are aware of my major record-breaking sales even though I don’t talk much about what I’ve sold—somehow people just know. My long family history with the Caribbean over the span of 40 years has allowed me to build a select list of prestigious properties, as well as, a network of the right people to expedite what can be a costly timespan in real estate development. I can save a lot of time for developers because I know how the permit process works; I know the right people who grant the permits; I know the zoning laws of what’s plausible and what’s not. My connection with the Governor, commissioners, architects, and land planners can help get the developers’ plans through the process. I also have a broker in St. Barth’s, who is a 5th generation agent with a list of private properties only available to him; this gives me access to inside information for St. Barth’s listings too. I don’t have many direct competitors in this exclusive space. 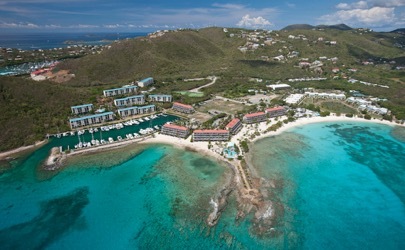 Many other brokers in the Caribbean work on a smaller scale selling villas, condos, and single commercial buildings. 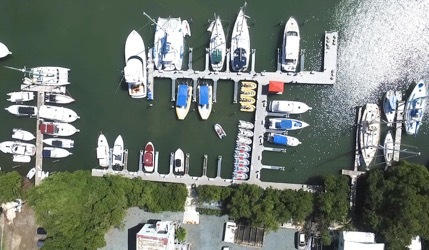 On the other hand, my team and I have the only golf course and marina listing in the entire US Virgin Islands, as an example. And of course islands. 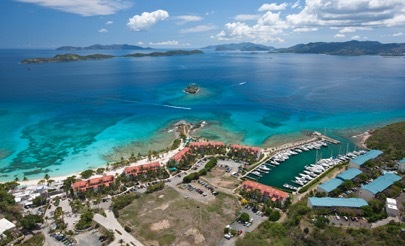 How are you changing the landscape of the US Virgin Islands? I am very dedicated to keeping the landscape of this area as in tact as possible, being sensitive to the natural environment. Many individuals are very thankful for what I do to contribute and give back to our community. 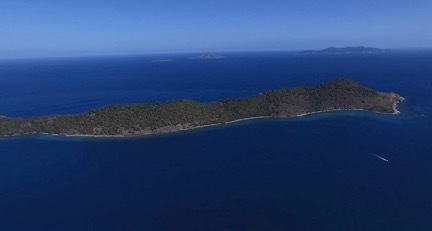 There was a beach property that the US Virgin Islands Government wanted to keep undeveloped and proprietary, but it was too expensive to gather the funds. What I was able to do was go to a Senator, who helped the Government find the funds necessary in order to buy it and keep it in its natural state. The community is still very thankful to me to this day for that sale. The ideal buyer is not only financially capable, but also able to make swift independent decisions. I am also interested in finding someone who is environmentally sensitive (can understand how – and the importance of – to keep the water, corals, and reefs in tact as much as possible); someone who is willing to view the property in person – the sign of a real buyer; and finally, someone who understands that these are high quality properties that need to be treated carefully. There is also an Economic Development Authority, which offers hotel development and real estate developers 90% federal corporate income tax exemption, 90% federal personal income tax exemption, and 100% exemption on business property taxes. Now that my son has joined the company, I am focused on building the Newland Real Estate Company to be a family business that will stay with us for generations. My mission is to maintain the high level of integrity and loyalty amongst our current and future clients throughout our growth. 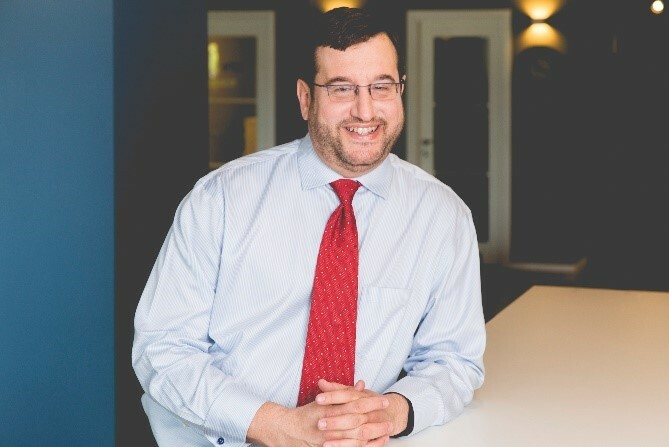 Some of the most successful businesses in the world are family-owned and I believe that building a company that survives many generations is special. I decided that in order to truly be an expert, I have to hone in on one specialized area of sales. People ask me if I can highlight properties in the Dominican Republic or St. Kitts or other islands in the Caribbean, but I am dedicated to being the go-to expert for the US Virgin Islands, the British Virgin Islands, and St. Barts instead of dabbling in other places here and there. To do this, I sold my rental division and commercial leasing businesses, so I could do strictly sales and high-end properties in my area of expertise. I understand that I can’t be everything to everyone so I will continue to fine-tune my expertise in those areas. 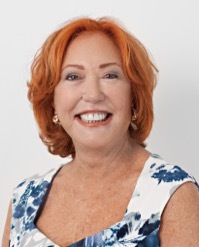 Through years of hard work and dedication April Newland has built her company into an internationally recognized brokerage company offering excellent customer service and an in depth perspective into the realm of Caribbean Real Estate. April has been featured on the cover of the National Association of Realtors, Realtor magazine distributed to over one million members; she represented the Virgin Islands in San Francisco speaking at the Caribbean Convention held by the Department of the Interior. April was featured on TLC’s reality show Million Dollar Agent. Currently, she is working with the director of a new real estate show to air this winter. April was also featured in a special article in the Robb Report, Elegance in Living, the International Herald Tribune and several other national and international publications. April feels passionately about being actively involved in protecting children against violence and served on the Board of Directors of the Family Resource Center. She also served on the St. Thomas Board of Directors and the Virgin Islands Territorial Association of Realtors. To learn more information, please visit http://vibeachfrontproperties.com/ , or reach out to April Newland directly at anewland2@gmail.com . Please see below for some of April Newland’s most exclusive listings. For additional listings please inquire directly to April Newland at anewland2@gmail.com. 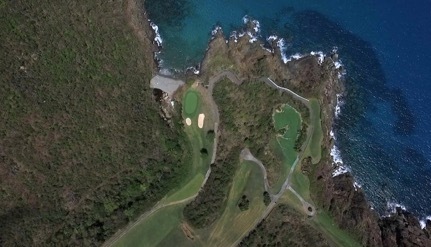 Amazing 23 acre development property located in the middle of an already developed property that includes a beachfront restaurant and bar on one of the most stunning beaches in the Caribbean and a pool and pool bar and the acreage above the beach including tennis courts are zoned R3 which allows for condominium and or hotel development. 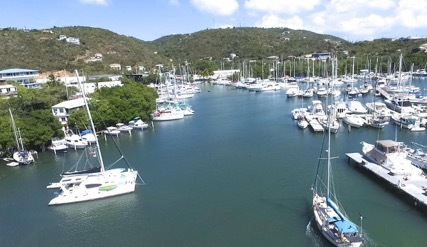 Such a perfect location close to marinas, restaurants, shopping and the Ferry to St. John. The existing condominiums were sold previously and the marina slips both of which were very recently renovated and resales of the units are selling rapidly. There is a need for brand new condominiums since there have not been new condominiums built in the last ten years. Private Island in the US Virgin Islands. 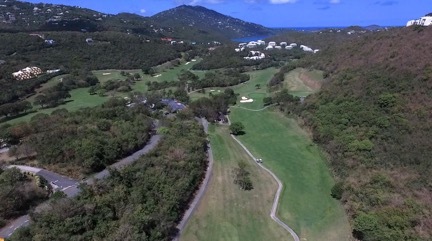 Perfect site for a private villa or high-end residential home. 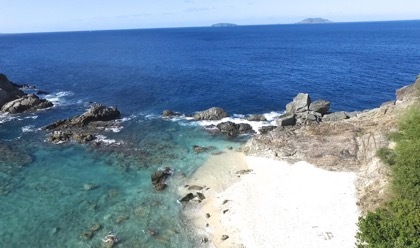 Beautiful white sand beach perfect for swimming, beaching, and snorkeling with easy access from island to island. Could be suited for a small upscale development. Off the coast of St. Thomas. Semi-permitted for 58 estate homes, 10 villas, 18 flats, and commercial space. Perfect for boutique hotel or private villa. Located in the lagoon basin, which is also a protected hurricane hole. 29 slip marina with office building and parking. Perfect location for a restaurant and bar. 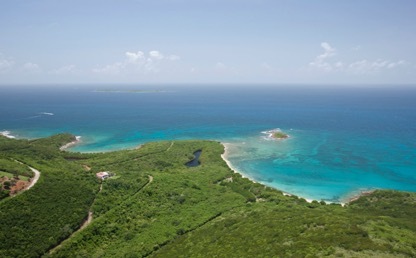 Undeveloped land and 19 acres of waterfront land zoned for a hotel or condos. Includes a reverse osmosis plant, clubhouse, restaurant, and convention center. The clubhouse is in the center with solar panels on the roof. Beachfront development property zoned W1 and R1, which allows for hotel and residential development.